Over the past two years, SoftBank Group Corp has not only emerged as an aggressive investor, globally, and in India, but has also readied a war chest to take the fight to its competitors. What’s more, its resilience around the India story, despite a few setbacks with some of its past investments, has triggered a debate on whether it is following a well-founded strategy. Barely in the third year of its announcement to pump in $10 billion in Indian companies over a 10-year period, the Japan-based telecommunications and internet major has already invested 65% of the amount, with $4 billion of investments coming in the past four months alone. The recent excitement around SoftBank and its investment strategy for India find its roots in the decision to infuse a mammoth $2.4 billion into homegrown e-commerce major Flipkart last week, besides its $1.4-billion investment in Paytm in May 2017. 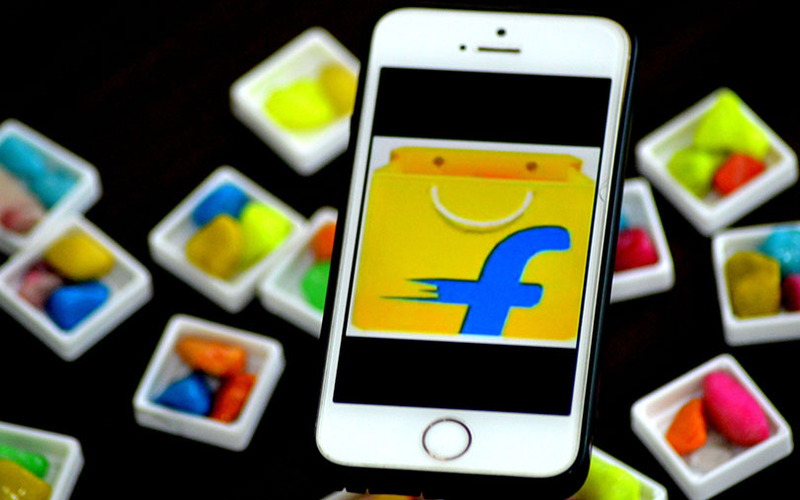 The Flipkart investment turns out to be the single biggest infusion by a foreign entity into the Indian consumer internet space, which also saw SoftBank position itself as the largest shareholder in the ecommerce major. What’s surprising, is the quick turnaround time in its decision-making ability, coming barely a week after Flipkart’s failed takeover bid of rival Snapdeal, a company that had found favours with SoftBank till the time the merger talks fell through. But what is it that is propelling SoftBank to bet on India at a jet-set pace, when the investor community at large seems to be holding onto their purse strings, not sure of what lay in the future? Well, if Harminder Sahni, founder and managing director, Wazir Advisors, is to be believed, the new-found optimism stems from the fact that the company has enough money to set the terms of engagement in the technology startup space. “It has been happy-go-lucky with its investments. It took bets on many things, got lucky with some, some others did not go its way. But now it has a much bigger money chest, with the Saudis coming in, so it believes that with this kind of money, it can swing the market whichever way it wants, by forcing mergers and acquisitions. With that kind of money all of this is possible and logic fails,” he says. Sahni’s thoughts perhaps find resonance in 59-year-old SoftBank chairman Masayoshi Son’s recent statements on the side lines of a recent media event. “I have the funds and we are looking for opportunities,” Son had told the gathering at Hindustan Times Leadership Summit, adding that he is expecting to surpass his commitment of $10 billion that he had made in October 2014. The SoftBank Group’s $100 billion Vision Fund, which saw contributions from Saudi Arabia and Abu Dhabi, besides Apple Inc. and Qualcomm Inc., is the single largest capital pool in the world of private equity and venture capital, and is the equivalent of, say, four Silver Lakes or 15 Sequoia Capitals, according to Bloomberg estimates. It is also evident that SoftBank is looking beyond the usual, and setting the benchmark for a new-normal in the world of VC and PE funding. In fact, Son had made it amply clear that the group was interested in making big-ticket investments, putting its finger in every pie, and at every opportunity that comes its way, and hedge its investments accordingly. SoftBank’s decision to back cab-hailing app Uber Technologies Inc or its US rival Lyft is a case in point. “We are interested in discussing with Uber, we are also interested in discussing with Lyft, we have not decided which way,” Son had reportedly said on the side lines of an event where the company’s quarterly results were announced. The journey from setting its eyes on being the ‘large minority shareholders of many assets’ to looking at ‘only big bets with investment ticket sizes of at least $100 million’ has, in fact, come in quick time. “As we look at the future for the next tens of years, we believe that the way to preserve the long-term sustainability of SoftBank is to be large minority shareholders of many assets,” SoftBank’s India-born former chief operating officer Nikesh Arora had told tech news website Re/code in a July 2015 interview. Subsequently, the group’s decision to wind down its venture capital division had perhaps set the ball rolling for a shift in strategy. But the Vision Fund, which saw Saudi Arabian Public Investment Fund putting in $45 billion and SoftBank another $28 billion, besides contributions from Abu Dhabi’s Mubadala Investment Company, Apple, Sharp, Qualcomm, Foxconn and Oracle, among others, fast-tracked SoftBank’s big-billion vision. The shift in stance was apparent when another India-born IIT-educated SoftBank executive and the head of Vision Fund, Rajeev Misra, reportedly announced that the company will ‘only’ take big bets with ticket sizes of $100 million and upwards. Despite all the recent hype surrounding SoftBank’s investments, the Indian journey thus far has been far from satisfactory. The company has, in fact, seen its fair share of failures in the sub-continent. It had first set foot in India in 1999 with eVentures – a partnership with Ispat Industries’ promoter PK Mittal and News Corp-backed media VC fund ePartners. Although the fund invested a little over $43 million across 14 companies, it was hit hard during the 2001 dot-com bust, and eventually had to shut shop in 2003. In more recent times, too, the going has been far from easy for SoftBank. In fact, when Snapdeal founders Kunal Bahl and Rohit Bansal walked away from the proposed deal with Flipkart, SoftBank was the biggest loser. It kept pushing for Snapdeal to be acquired by Flipkart since it not only wanted a stake in the latter, but also wanted to salvage whatever was left of its $800 million exposure into Snapdeal. And, before Snapdeal, there was Housing.com, whose co-founder Rahul Yadav was controversially fired by the board, and which was later merged with its rival, News Corp-backed Proptiger.com, even as SoftBank watched from the sidelines. Moreover, SoftBank’s plans to invest up to $20 billion in the Indian solar space, via SB Energy, a three-way venture it had set up in June 2015 with the Bharti group and Taiwanese electronics major Foxconn Group, has at best seen lukewarm success thus far. Analysts say one of the major reasons of SoftBank’s limited success in India has to do with its tendency to back companies across the spectrum without due consideration. In fact, a detailed analysis of its India investments based on information compiled by VCCEdge, the data and analytics arm of News Corp VCCircle, shows that its bets have been rather disparate. SoftBank is now directly or indirectly invested in three major competing e-commerce marketplaces – Flipkart, Paytm and Snapdeal. It has also backed hyperlocal delivery company Grofers, hotel room aggregator OYO Rooms, cab hailing service Ola and realty aggregator Housing.com. Going further, it has a motley set of investments into online media and news company ScoopWhoop.com and even Gurgaon-based mobile recharge app developer True Balance. Although SoftBank began investing in India way back in 1999, it became a serious investor only around September 2011, when it first put its faith in online advertising firm InMobi with an infusion of $200 million. Dig deeper, and it becomes apparent that the Japanese firm had pumped in monies into India primarily in four ways. While a bulk of the capital flown into India was direct investments into e-commerce and tech companies, it had also invested indirectly via Chinese e-commerce giant Alibaba, in which it holds a little under 30% stake. Alibaba’s $1 billion investment into Paytm exposed SoftBank to an investment of just under one-third of that amount. In 2011, it had set up a 50:50 joint venture with Sunil Bharti Mittal-promoted Bharti Enterprises, to invest about $200 million into several ventures, including messaging app Hike. Besides, at least three SoftBank-controlled entities – Sprint Telecom India Pvt. Ltd, the subsidiary of US-based telecommunications firm Sprint Corp; US-headquartered mobile phone distributor Brightstar Corp, which had bought a controlling stake in Bharti’s handset manufacturing business Beetel Teletech Ltd; and British chip designer ARM Holdings – have a significant business presence in India. However, even if one sets aside SoftBank’s investments through its subsidiaries and via Alibaba, its India exposure stands close to $6 billion, making it the most-invested foreign investor into the country’s tech space. If the company’s global investment trend is anything to go by, Indian companies could look up to more investments from SoftBank. And, the Flipkart bet could just be the beginning of better times to come. In fact, the recent uptake in investments has by far broken the records of SoftBank’s commitments over the past six years, or more. Data show that while in 2011 it had invested just about $200 million, the next two years it did not invest a penny. In 2014, SoftBank committed just under $850 million, with the following two years witnessing a considerable dip in investments. Yet, if one looks at SoftBank’s investment trajectory globally, it could continue to write big pay checks to Indian companies. According to technology website Techcrunch report, in 2017 alone, SoftBank was a lead partner in over $14 billion worth of venture capital and private equity rounds. This was excluding the $4 billion post-IPO investment into US-based technology company Nvidia Corp.
Like Sahni, most industry observers are upbeat about SoftBank’s betting big in India, but they are equally wary with their predictions. “You need to appreciate that the quantum of investments is so huge that they are expecting a certain return on investment. Secondly, if stakes are high, and if things go wrong, they can be corrected,” says Joshi, adding that with the e-commerce sector still burning considerable amounts of cash, it will be too early to say whether SoftBank’s bets will prove to be good or not. What the future holds for SoftBank is anybody’s guess, but its India strategy is surely on track with reports of a $100 million infusion in logistics startup Rivigo doing the rounds. And, a section of industry observers feel, its strategic investments in category leaders, and its nearest rivals, will stand it in good stead. “Wherever they have invested, they have done so as a category leader. They are certainly following a strategy of investing into market leaders in the e-commerce space,” says Joshi.